Heather Richardson, marketing and editorial manager at Jacada Travel, tells Chloe Cann how embracing every opportunity with optimism has led to her landing a dream job. In the past five years Heather Richardson has done a lot of things she never thought she would. “Looking back I’m amazed I didn’t think ‘I’m in over my head.’ It’s only with hindsight that I have the luxury of panicking.” The marketing and editorial manager for Jacada Travel dabbled in several different roles both at home and abroad before settling in London in her current job. In the summer of 2008, halfway through her degree in English literature and history at the University of Edinburgh, she flew to India to intern. Based in Trivandrum, Kerala, Richardson wrote for The New Indian Express and Asian Traveller magazine, and did some producing work at 24-hour English News channel Times Now. It was her first foray into the industry, and an eye-opener. In the three-month stint she recalls accompanying a local journalist to a hospital with hidden cameras, where they endeavoured to interview a woman who had drunk bleach to escape a forced marriage. “I was doing the type of thing I’d never get to do over here,” Richardson explains. The following summer she interned for The One Show where she was given similar opportunities to take on challenging work, including interviewing two teenagers who had been hospitalised with anorexia. Although she had accumulated a fair amount of editorial experience by the time she graduated in 2010, Richardson had a big decision to make. “It was the peak of the recession and an awful time to graduate,” she says. 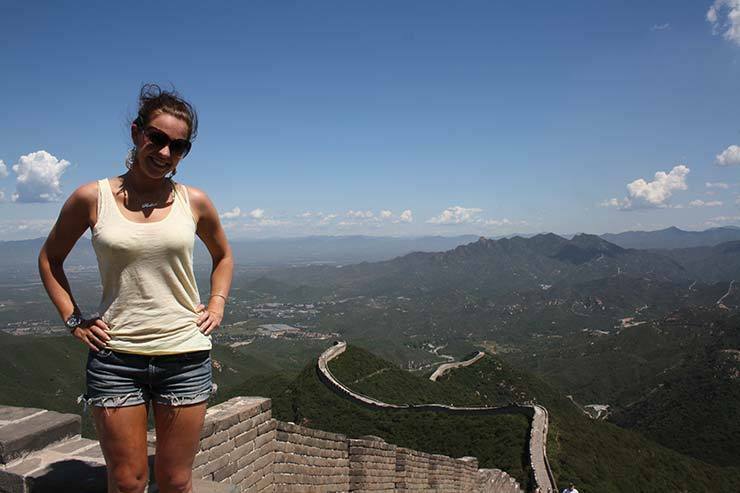 “It was either do an MA in journalism or go travelling.” She choose the latter option and spent one and a half years backpacking around Australia and Asia, picking up ad hoc editorial and hospitality work on the road. Aside from writing content for the luxury travel company’s website, newsletters, and quarterly magazine, The Explorer, Richardson’s role also includes PR, social media, managing a team and organising events.